While it does look funny, pointing laser light at cats without someone CAREFULLY CHECKING that the beam does not hit the cats’ eyes is, in MY EYES, a sauerei. Read: Only do it if you don’t care about hurting your cat. You do not need a burning laser for this. Use a small <1mW red one. My cats chase anyway after any moving light. Be it the reflexion of the sun on the watch glass or any tiny spot of light from a lamp reflecting in the watch glass or being it the image of the mouse pointer on the projection screen. Even if the laser is weak enough to be harmless for humans, are you sure it’s the same thing for cat eyes? And i would really not trust any power indication on chinese shop websites. It’s probable that they exaggerate the output power but you don’t know how much they exaggerate. The only sure way would be to actually measure the output power, but who has the right equipment for doing such things? And as i said, the reglementations are for humans, not for cats. I don’t trust the power rating, but it is easy to get an upper bound on the emit power. Figure low end devices <50% (more likely <30%) conversion efficiency. Applied power can be controlled, and simple filtering can be used to keep emit power well below 1mW. There’s only one way to know for sure; we’ll need plenty of powerful lasers, and a supply of cats for testing. Green lasers in particular are hazardous. They are actually an IR laser with a frequency-doubler, followed (ideally) by an IR-cut filter. The cheap ones don’t have the IR filter. So while it might be a “5mW green laser”, there’s quite likely 50-100mW of IR coming out the end. I’ve been wanting to do something like this for years. a long time ago a friend an I used a couple of servos + RC receiver & remote to make a manual version of this. 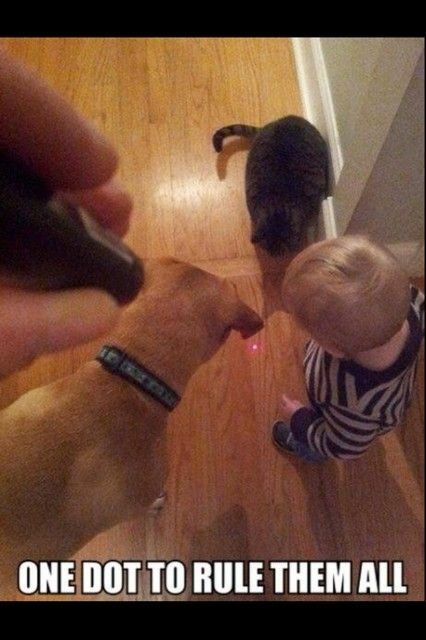 Few minutes in the cat realized the connection and stated attacking the device instead of being interested in the laser. Guess the servo noise was to blame? I had a cat that would react to the click of the switch on the laser. Eventually, she started chasing the pointer in my hand as much as she would chase the dot. And is way more hacky. I’m surprised no one caught my confuse-a-cat reference. The last version had an IR remote and the ability to control it manually via IR or have it monitor the PIR and go through a pre-set routine when triggered. I think it was taken down when painting the walls and never made it back up. But who’s going to be first to the patent office (run, don’t walk!). There are millions to be made as either a hacker or a patent troll. Choose your hat colour now. Little late on the patent game: there are several commercial versions of this already on the market, and they use fancy lo-profile optics instead of noisy servos. This is still a great/fun project but the patent ship has sailed off to whatever wasteland those ships sail to. Total cost under $5 including servos and laser. why is everybody mounting the weight and inertia of a laser (and another servo) onto servos? why not a static laser and servos with 2 lightweight small mirrors? Is it a good idea to mix a ceiling fan, a red laser, some extra batteries, a remote receiver, perhaps a servo and some command unit (arduino, pi, whatever)? By the way, never use the laser on a wall on which a cat can go up. And hit an porcelain plate hanged right there. In my defense it was at the end of a long dark hall and i didn’t noticed the hanged plates until the missile cat shut it down. Of course i was in a visit.